The UN’s human rights chief, Michele Bachelet, has asked Egypt to overturn the recent mass death sentences handed down to members of the opposition. 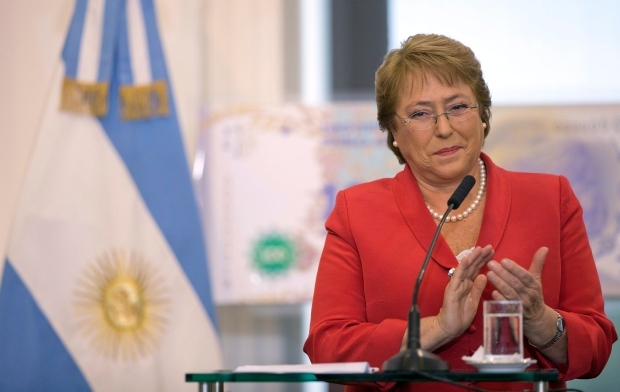 She observed that if carried out, the sentences “would represent a gross and irreversible miscarriage of justice”, Bachelet said, further describing the trials as “unfair”. Over the weekend, an Egyptian court had delivered death sentences to 75 people for participating in a 2013 sit-in protest at Rabaa al-Adawiya Square in Cairo that ended with security forces killing hundreds of protesters. Brotherhood leaders Essam el-Erian and Mohamed Beltagi were sentenced to death, while Mohamed Badie, the Brotherhood’s spiritual leader, was handed a life sentence. In total 46 people were handed life sentences, while 612 others received prison terms ranging from five to 15 years after a mass trial in Cairo. Among those convicted of a jail term was photojournalist Mahmoud Abu Zeid. He was handed a five-year sentence but should walk free for time served. The journalist has been imprisoned since he was picked up by security forces in August 2013 while covering the killings in Cairo. Al Jazeera’s journalist Abdullah Elshamy was also sentenced to 15 years in abstentia.